You are here: Home / Blog / Are you protected from flu? Are you protected from flu? 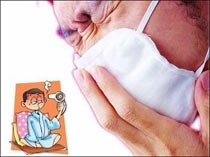 Flu is caused by a virus that should not last more than 3 days. While most conventional doctors will say that you should get a flu shot at least once a year, I strongly believe that with home remedies, we can knock out flu in less than a day. All we have to do is boost our immune system with natural remedies, allowing our bodies to quickly and easily beat the infection that’s knocking us off helplessly. I call this concoction, the power shot. Using a few cloves of garlic, chop it as fine as possible and put in the blender to release the active ingredients. Garlic is known to be a potent antiviral food and enhancer of immune factors and natural killer cells. On the blended garlic, add 3 drops of Echinacea tincture which is known to be the herbal remedy for respiratory infections. Add also 3 drops of golden seal tincture to reduce irritation and inflammation on the lining of your respiratory tract. A pinch if cayenne pepper will help thin the mucus. Add half lemon juice to help in the detoxification process of the body and finally 6 ounces of tomato or vegetable juice. Mix all the ingredients together, put ice and make a cocktail out of it. This is a very effective power shot to kill away the flu. To help replenish and wash away the toxins, we have to load up on water. And we must also hydrate ourselves using hydrotherapy since hydrating the inside is also as powerful as doing it on the outside. Flu is everywhere, so we have to keep ourselves healthy by having a balanced diet, exercise and avoid smoking and too much alcohol drinking.